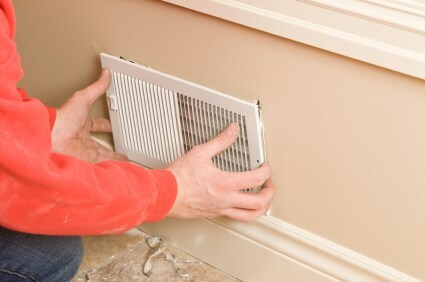 Searching for Ventilation Contractors in Carl Junction, Missouri? From inspection and installation to cleaning and maintenance, Barone's Heat & Air, LLC has worked on countless buildings with ventilation in Carl Junction, MO. Our reputation for quality and reliability provides Carl Junction residents with trusted ventilation services designed for the local climate. Barone's Heat & Air, LLC has been working in the Carl Junction region since 2009, allowing our staff to gain invaluable knowledge and expertise in the HVAC and ventilation field. Ready to service homeowners and business owners across Carl Junction, Barone's Heat & Air, LLC technicians have the skills, equipment and know how to design, install and maintain whole home systems, mechanical ventilation and air exchangers in buildings of any size. Our affordable rates allow any Carl Junction customer to create an efficient ventilation system that meets budget, provides superior air quality and reduces heating and cooling costs. Our prices are in line with other HVAC contractors across the Carl Junction area, and we offer premium service on every single job. You rely on the ventilation system in your Carl Junction property each day. It’s only when problems arise that we see the value in this critical system, and need to call on the reliable services of Barone's Heat & Air, LLC to make things right again. Barone's Heat & Air, LLC remains ready to service all clients across the Carl Junction, MO region, with reliable, prompt service and clear communication. All types of ventilation require proper design, expert installation and regular maintenance for optimum performance. Reduce your expenses and maintain a healthier indoor environment by ensuring your ventilation system is in good condition. Trust the ventilation experts with your Carl Junction property, and call Barone's Heat & Air, LLC for more information about service to your ventilation in Carl Junction, MO.